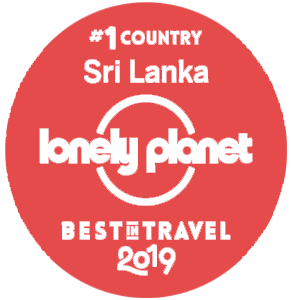 This 3 nights tour is specially designed to cover the Island’s key cultural locations namely Anuradhapura, Mihintale, Sigiriya, Polonnaruwa, Dambulla and Kandy. UNESCO sites Anuradhapura/ Polonnaruwa/ Sigiriya/ Dambulla and Kandy. Program Meet, pick from Airport and drive to Anuradhapura, en route stop at Munneswaram Hindu Temple. Reach Anuradhapura, visit all the UNESCO protected ruin’s and visit Mihintale during sunset. Reach Sigiriya/ Habarana for the night. DAY – 02	Sigiriya Fortress, Polonnaruwa ruin city and Jeep safari at National park. Program Early breakfast and climb Sigiriya Fortress rock and proceed to Polonnaruwa, visit all the ruin sites including the 3rd century man made lake “Parakramasamudra” and explore Minneriya/ Khadulla national park by jeep. DAY – 03	Rock Temple in Dambulla, Temple of the Tooth Relic and Cultural show. Program Breakfast, visit Rock Temple, drive to Kandy. En route stops at Spice Garden and Muththumari Amman Hindu Gemple in Matale. Reach Kandy, visit Temple of the Tooth Relic, City tour and evening Cultural show.